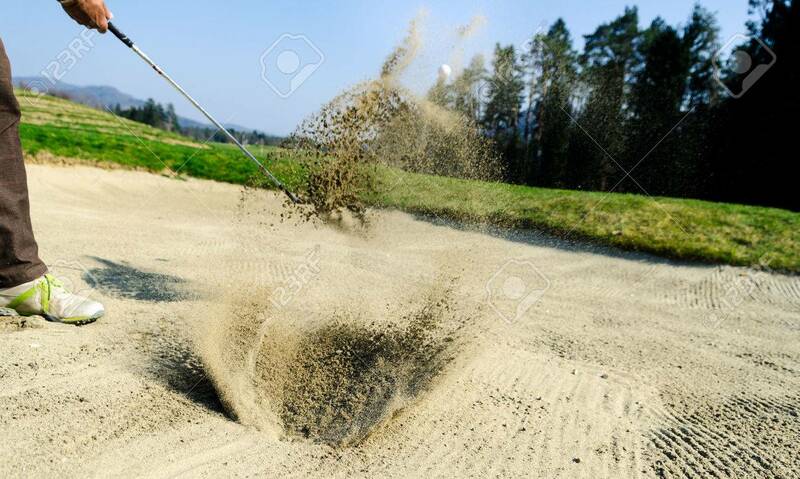 Golfer Hitting Out Of A Sand Trap. The Golf Course Is On The.. Stock Photo, Picture And Royalty Free Image. Image 39895498.